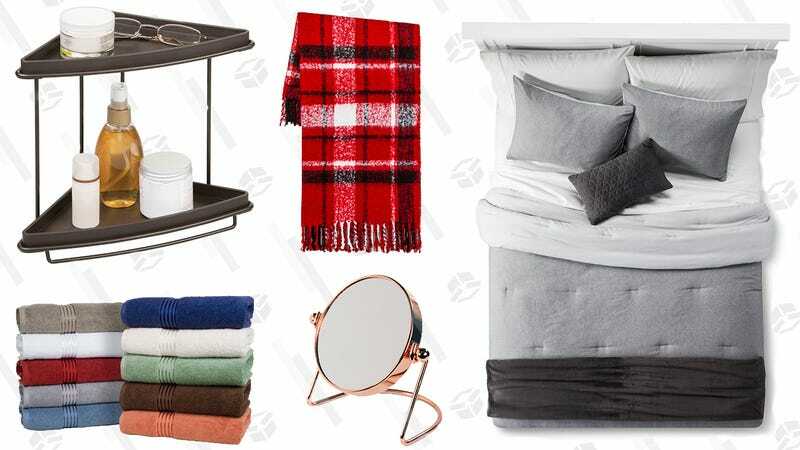 The best time to do that, IMO, is today or tomorrow, while Target is taking 40% off bed and bath items. Washcloths start at just $1 — towels at $2 — and there are plenty of blankets and pillows under $10, so anything you choose will basically pay for itself in one use. Comfortable lodging and a good night’s sleep can do wonders for shifting even the grinchiest of relatives into holly jolly territory.